Malibu Pier, Malibu Museums, Shopping, Oceanside Restaurants, Attractions at Pepperdine, Malibu Beaches and more! 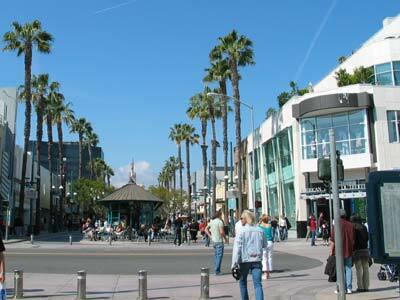 Santa Monica Pier, Third Street Promenade, Shopping, Restaurants, Attractions, Santa Monica Beaches and more! Third Street Promenade is a street that was closed to vehicular traffic years ago. Third Street is now is lined with a variety of shops ranging from traditional to unusual. Clothing outlets and stores prevail, sprinkled amongst specialty shops, book stores, gift shops, restaurants and coffee shops. Walking down the street you'll witness a variety of performances that range from the downright good to the blatantly unqualified. Either way, it's quite entertaining. Main Street Santa Monica - South of the Santa Monica Pier and two blocks inland from Ocean Park beach, Main Street (centered around Ocean Park Blvd) holds a collection of shops, boutiques, restaurants and cafes. Main Street is more popular for the eateries than the shopping, although you'll find some interesting window shopping in the area. Santa Monica Big Blue Bus (website) has routes (#1 and #8) that connect the Third Street Promenade with Main Street Santa Monica. Montana Avenue - Home to many upscale fashion boutiques as well as stores that sell high-end furniture, accessories, and gifts. This quiet tree-lined street also boasts 150 charming boutiques, restaurants and cafes, bistros, and bakeries - including many that are frequented by the "rich and famous.". Santa Monica Place - Santa Monica Place features high-end retailers such as Bloomindales and Nordstroms, and boutique stores like Coach, Burberry and Juicy Couture. The most interesting addition to the recently-renovated mall is the new Rooftop Dining Deck, featuring a food court on the third-floor roof with an outdoor dining patio plus five restaurants ranging from upscale to swank to comfy. If you need to pick up some groceries before heading home, you can fill your cart with organic meats, gourmet coffee, fresh fruits and flowers at The Market. Santa Monica Place is conveniently located at the south end of the Third Street Promenade, and just a short walk away from the Santa Monica Pier. This is a good place to park if you plan on visiting all of the sites. Try to park in the structure on Second Street near Colorado Ave if you want to walk down to the Pier, since that lot is most convenient. But if you park over on the Fourth Street side, or enter through the Broadway entrance, it's still not very far to walk to any of the sites. Venice Beach Boardwalk - Shopping, Arts, Artists, Performers and beach activities. Parking is available nearby, although it's not always easy to access and can get expensive. However, Venice Boardwalk is about two and a half miles from Santa Monica Pier. If you're able to walk more than five miles round trip and plan on staying the whole day in Santa Monica, then this would be a nice little side trip. The walk between the two is very pleasant, offering ocean views and other points of interest along the way. You'll see Chess Park, the original Muscle Beach and Casa del Mar hotel. There are separate bike and foot paths, although pedestrians often walk on or near the bike path in areas where it's more convenient. There are restrooms and drinking fountains (public water) along the way. There are skate and bicycle rentals, as well as vending machines with soda and small snacks. Venice Beach Boardwalk is busy with merchants and performers in the daytime, but is empty and not well-lit at night. It's not dangerous, but a visitor from out of town would likely be uncomfortable there after it gets dark. So plan to visit in the morning or afternoon, then head over to Santa Monica for the rest of the day. Santa Monica is well-lit and populated until at least midnight. 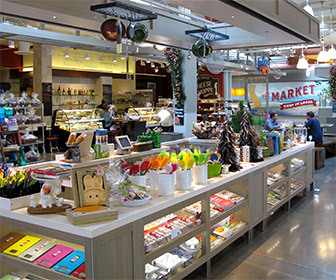 Malibu Country Mart - An outdoor shopping center made up of about 65 upscale shops, galleries and restaurants, including famous designers such as 7 for All Mankind, Juicy Couture, M Frederic, Ralph Lauren and many more. Malibu Country Mart is located just minutes from the beach, the Pier, Pepperdine and other activities in Malibu.